The overview of the class. 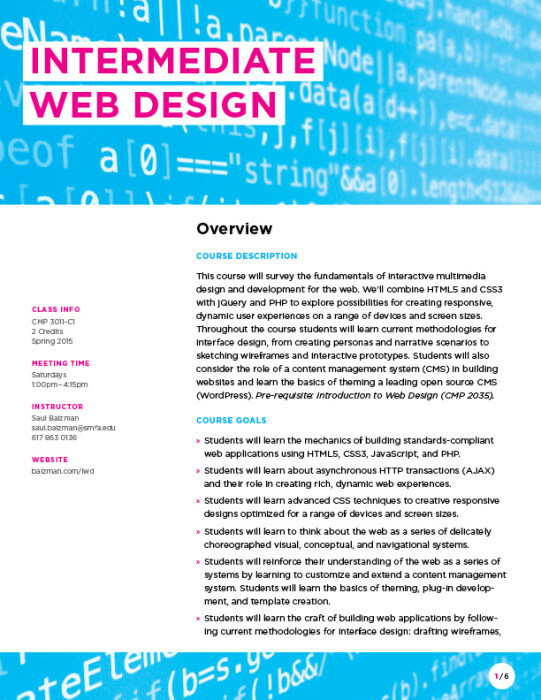 I authored the course description. 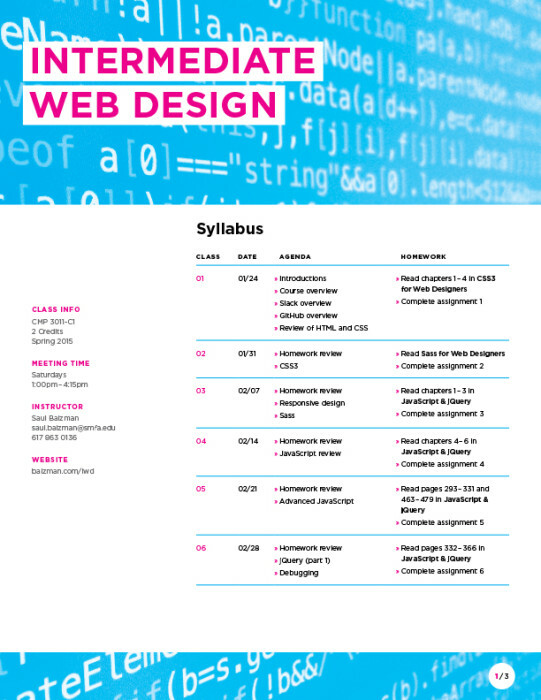 The first page of the syllabus. 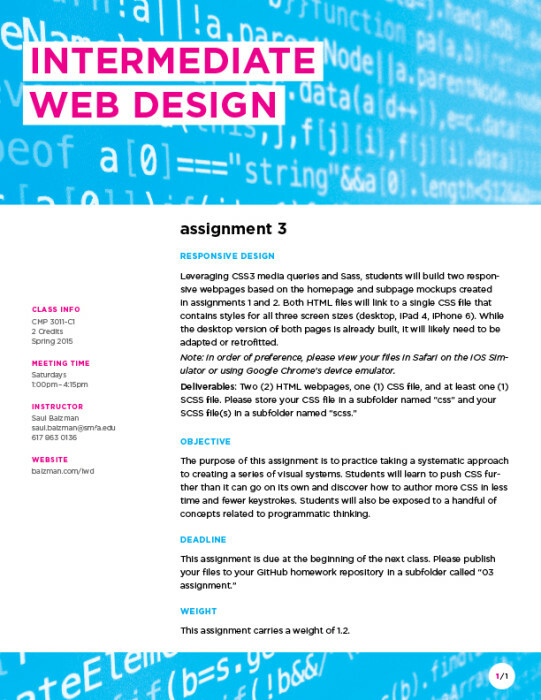 A homework assignment to create a responsive website using CSS3 media queries and Sass. 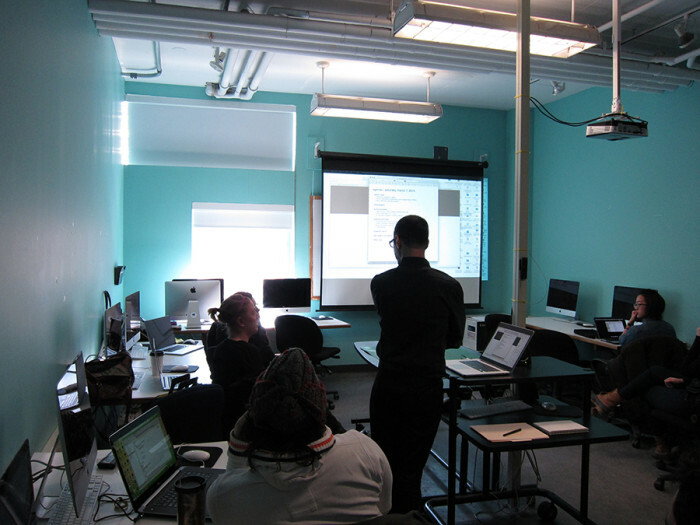 A photo of me teaching the Intermediate Web Design class at the SMFA, responding to a question. 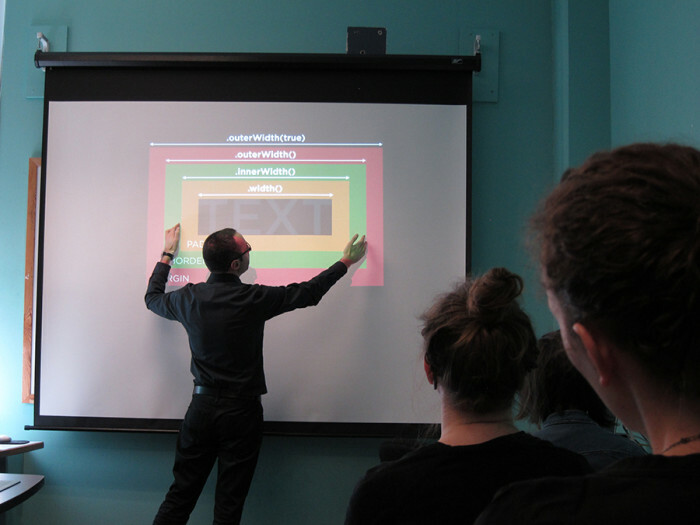 A photo of me teaching the Intermediate Web Design class at the SMFA, explaining some jQuery methods.